Is a family orientated club. As a style Shinkyu Karate combines modern training and techniques with traditional values to create a martial art based on practical and effective self-defence skills while also maintaining the traditional values of Japanese Karate. Karate is especially great for kids as it builds their focus and concentration as well as developing self-discipline, which improves school grades and behaviour. Children also participate in our comprehensive anti-bullying and safety awareness programs. With students starting from as young as 4, Shinkyu karate is one of the exceptionally few activities that the whole family can participate in together. We teach purpose-driven karate with the primary goal of ensuring our students learn practical skills that they can rely on. We use modern teaching techniques like striking pads and kick shields as well as practicing scenario driven self-defence to deliver real-world results. Shinkyu Karate is not a complete departure from traditional karate. We believe that respect, etiquette, discipline and self control are still relevant and an integral part of a student’s journey. Our customer service team and our karate instructors are there to help our students experience a rich and rewarding martial arts journey. There are many benefits to training in karate: self-defence, fitness and confidence being high on the list. Your aspirations and goals are important to us and our talented and experienced instructors are there to help you achieve them! 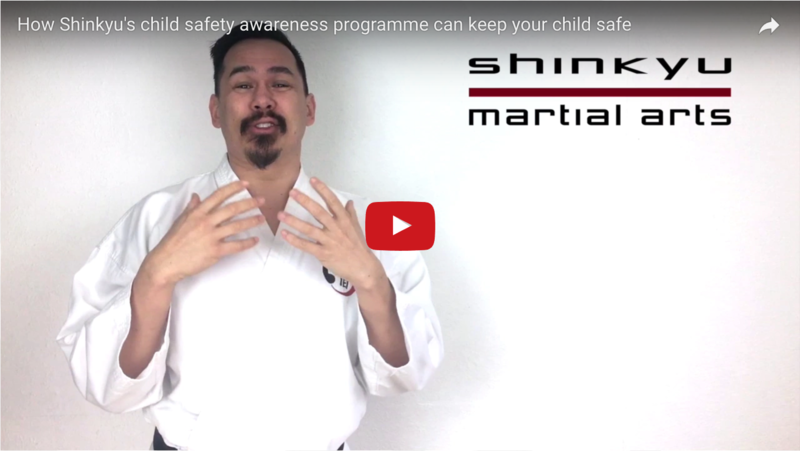 Why is Shinkyu Karate one of the best ways your children can spend their time? This is not just any Karate. Karate clubs and what you will get out of them varies greatly. Most clubs focus heavily on traditional training methods such as kata which are set patterns of moves, this is because, in their style, kata is what their students are primarily graded on. Kata is the art form side of karate and while practising kata teaches self-mastery and principles of movement is great, it can be very abstract. A beginner or even intermediate student is highly unlikely to be able to defend themselves based on their prowess in kata. Other clubs focus on competing in highly stylised points fighting tournaments. This is great for athleticism, reflexes and tactical thinking but it is not exactly good self-defence. Points fighting is to karate what fencing is to battle. 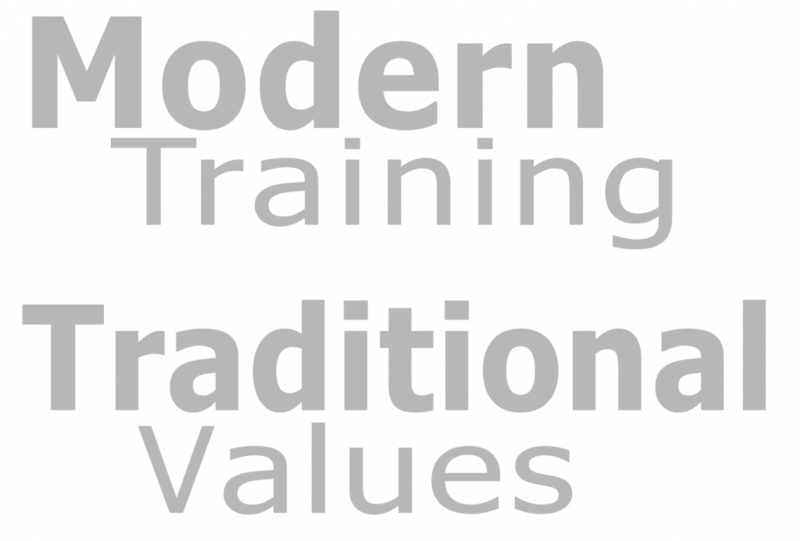 The majority of clubs are over committed to narrow “traditionalist” syllabus, often dedicating a lot of time training techniques which don’t work in reality unless you drastically alter them from the way they are practised. This means they are actually practising and conditioning students to do things wrong. Worse training these abstract techniques and drills also comes at the expense of neglect key areas of self-defence, in particular, defending swinging punches, grappling and ground fighting. Skills that are essential for handling common self-defence situations. Sadly it is very rare to find a karate club that actually tests self-defence situations in their grading syllabus. So rather than being their primary focus, confidence building self-defence skills are glossed over or never taught at all. Frustratingly many clubs will advertise “learn self-defence” when it is not what they deliver at all. It is no wonder that people who have experiences with clubs like these say “karate doesn’t work”. So what is Shinkyu Karate like? Well, we are a much more balanced style. Our priority is to teach our students practical self-defence skills that they can rely on. We have a grading syllabus that covers all of the most statistically probably self-defence situations, so we test our student’s ability to protect themselves. We still practice kata as we are still big believers in the principles of movement, but we teach traditional kata much later in the syllabus, choosing to focus our students on core techniques, practical combinations and practical self-defence first. Later when we do teach traditional kata we focus on its practical application rather than obsessing over performance and aesthetic aspects as most clubs do. We still give our students the opportunity to enter tournaments. We run our own internal competitions as well as giving students the opportunity to compete externally against other clubs. But our major goal is not to train people to win accolades in order to build the reputation of the club, our primary goal is to teach students to protect themselves. We are also relatively unique as we offer students the ability to take their karate journey where they want to take it. We have specialist classes for sparring and self-defence, and also advance classes for those who love the traditional arts and as mentioned above we also run tournaments too. You can do it all or focus more on what you love. We’re professionally run with full time support, but more importantly, unlike most karate clubs where instructors sit on the laurels of training they did years ago, all of our instructors train every week. This guarantees both what we do and how we teach it is at the cutting edge of the martial arts world.